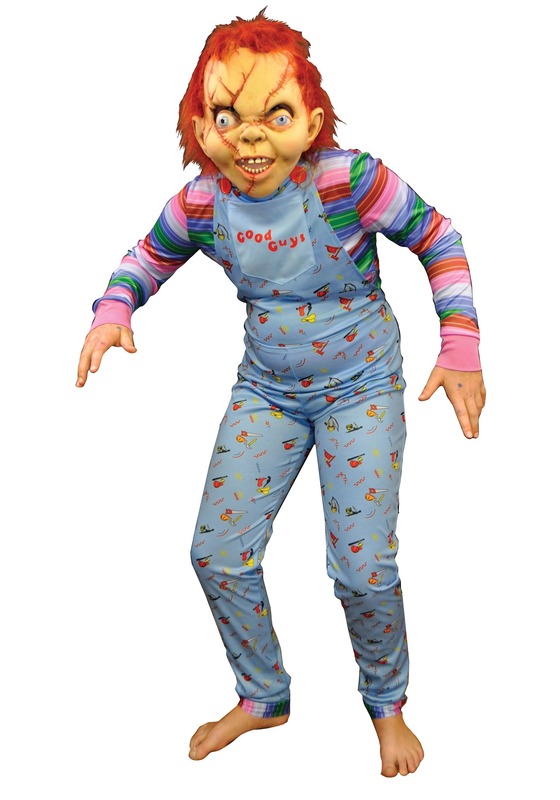 Pocket on chest w/ red printing "Good Guys"
Get in touch with your devious side by wearing this chucky costume. 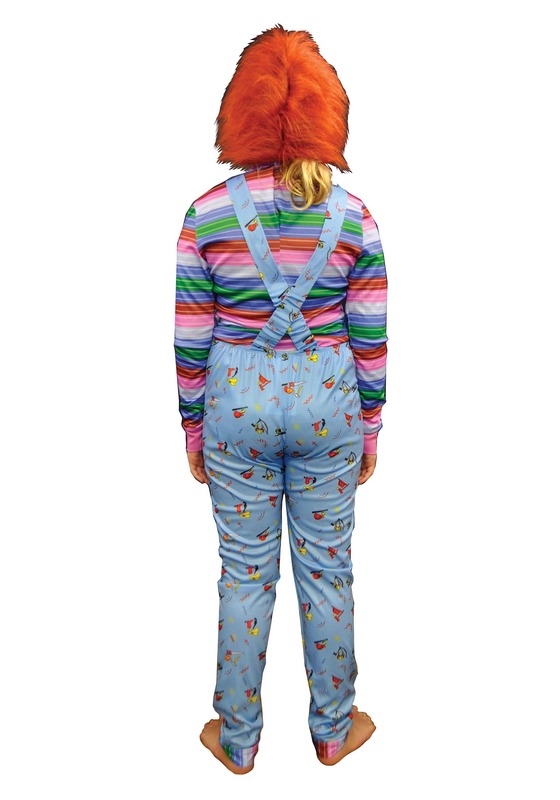 The costume is a printed onesie will transform you from regular human into a serial killer doll who is highly feared. The long sleeve shirt uses Velcro tabs to attach in the back of the jumpsuit. while the overalls have functioning buttons and elastic straps. Just add the full mask (not included) to your order and complete your transformation from human being to murderous doll. Now is your chance to show everyone your version of "play time!"